Over 500kg of oysters were stolen by thieves from Whangaroa in Northland. The owner of the oysters, Owen Robertson, has posted a reward to help find the thieves. The farmer is also warning people not to buy or eat any of the oysters from the black market. 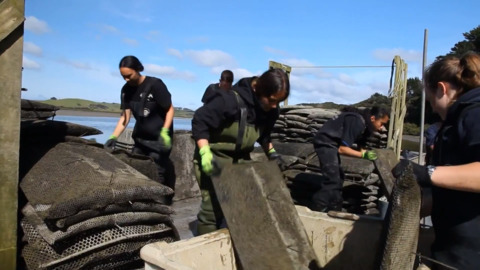 A Northland oyster farmer has thanked the public for their support and assistance after 500kg of oysters were stolen from his farm in Whangaroa. Oysters are a delicacy people across the world are prepared to pay a pretty penny to digest with the industry worth almost $4 billion.